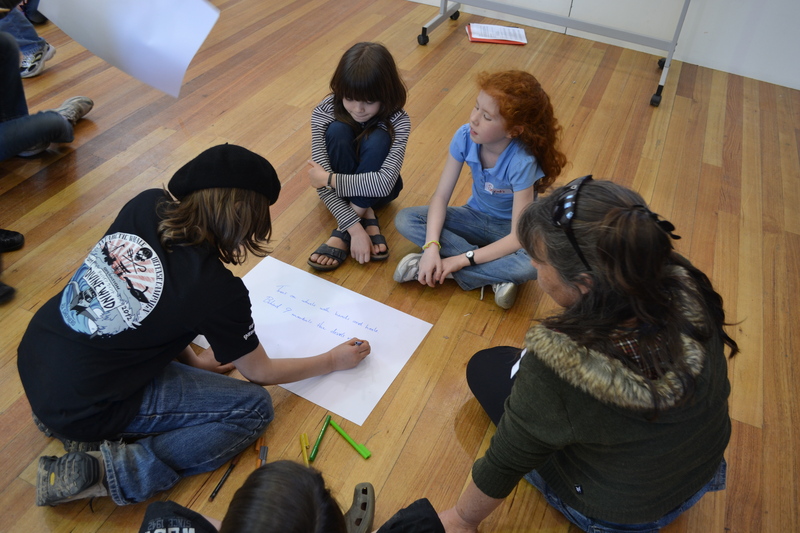 On Friday I met with the Arts Centre production staff to make plans for the forthcoming Hidden Music workshops and performance at the Arts Centre Melbourne. 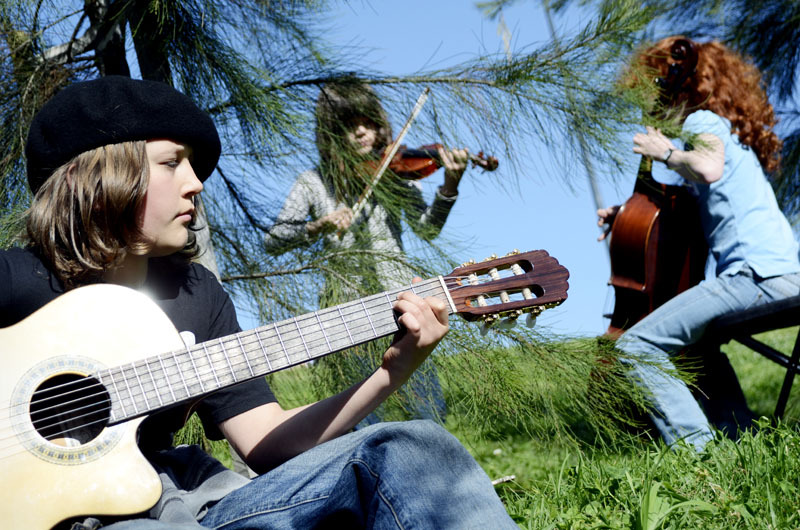 In Hidden Music children aged 9-13 compose music for specific locations, then perform their compositions for members of the public. 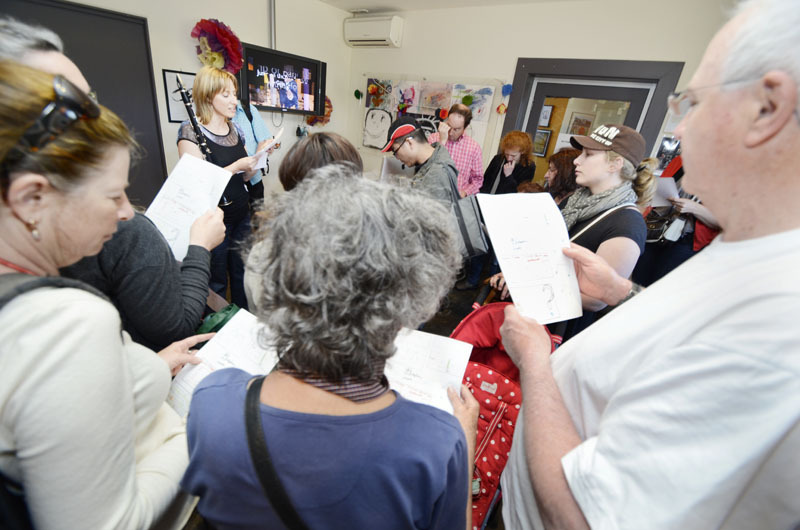 However, there is a twist – the performances are hidden and the members of the public have to follow clues in order to find the performances. 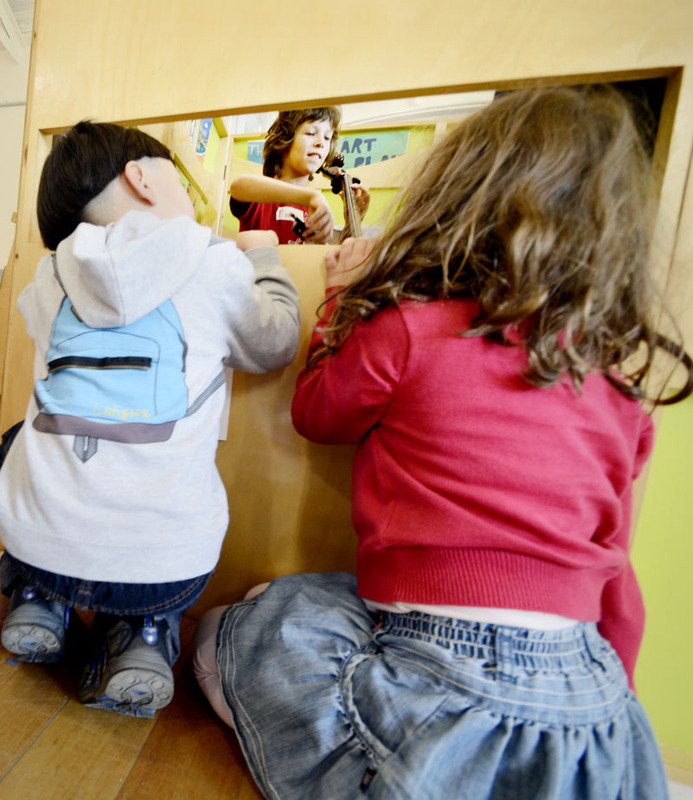 The children have to perform every time someone finds them. 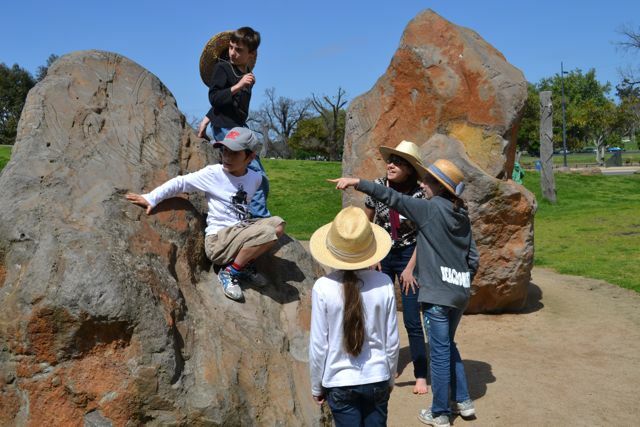 The first Hidden Music project was at ArtPlay in 2012 (thanks City of Melbourne, for funding the project!). 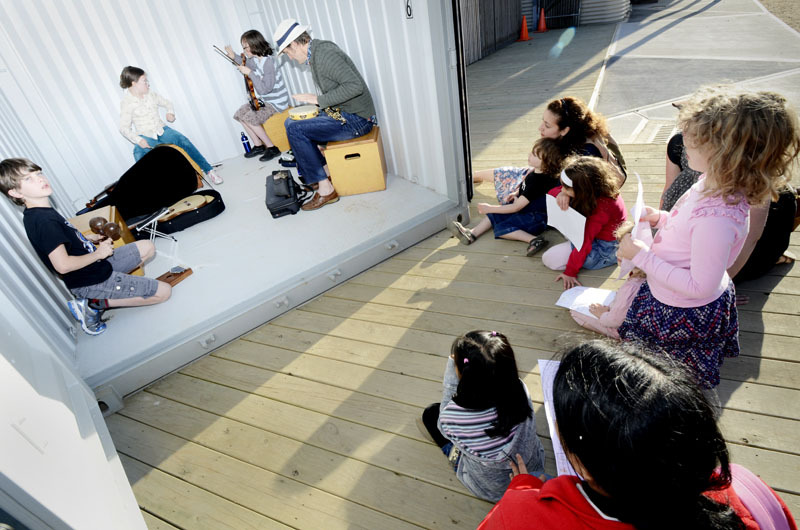 Children hid their performances on a stairway, in a book cubby, in an old shipping container, and in a clump of trees on the side of a hill (just behind the ArtPlay building). See some video footage here. 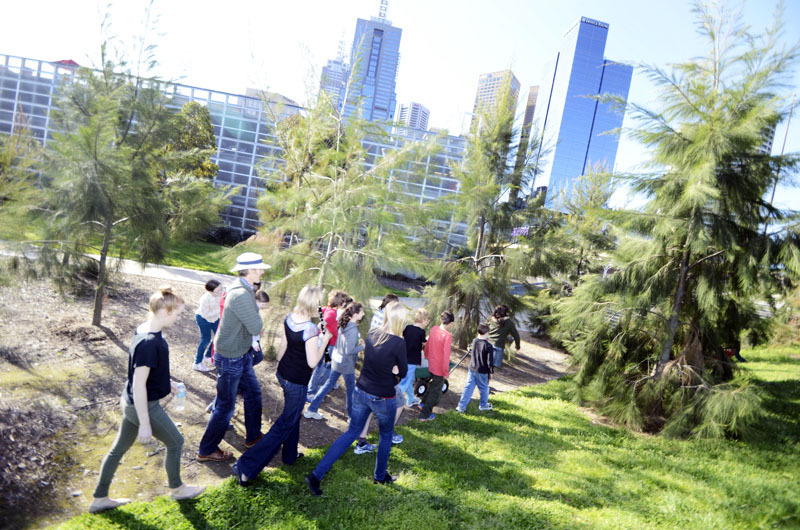 The Arts Centre Melbourne is presenting Hidden Music in the September school holidays. We will be in the Hamer Hall building, and have six glorious levels of formal rooms, stairways, escalators, cupboards, storage rooms, nooks and crannies from which to select our performances spaces. I get pretty excited when I see rows of escalators and think of the ways these could be used in a site-specific composition – all that gliding and slow, gradual progression! I also love the thought of what a group of 9-13 year old musicians might make of the space-age green room with the gilt edges and white leather couches. To me it is very Barbarella. What clues will they give people to help them find the performance? And what music will they make to depict this fabulous space? 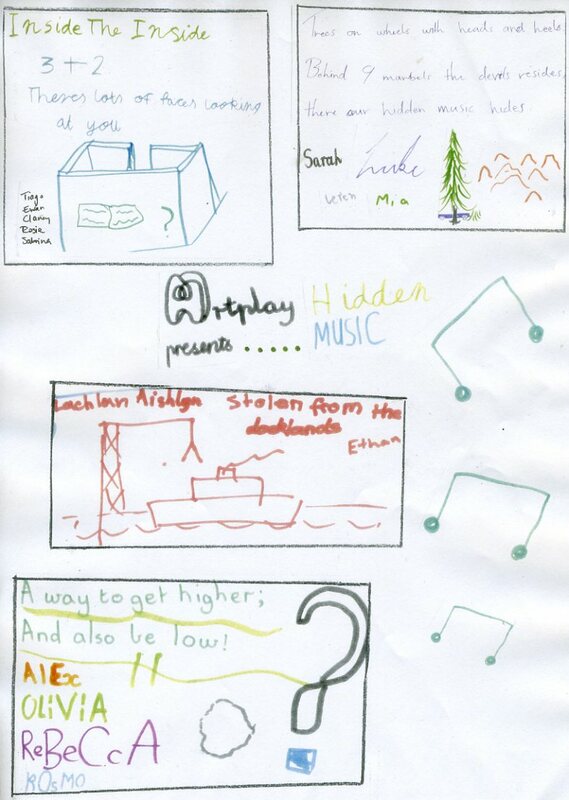 You’ll have to come along to the Hidden Music performances to find out. 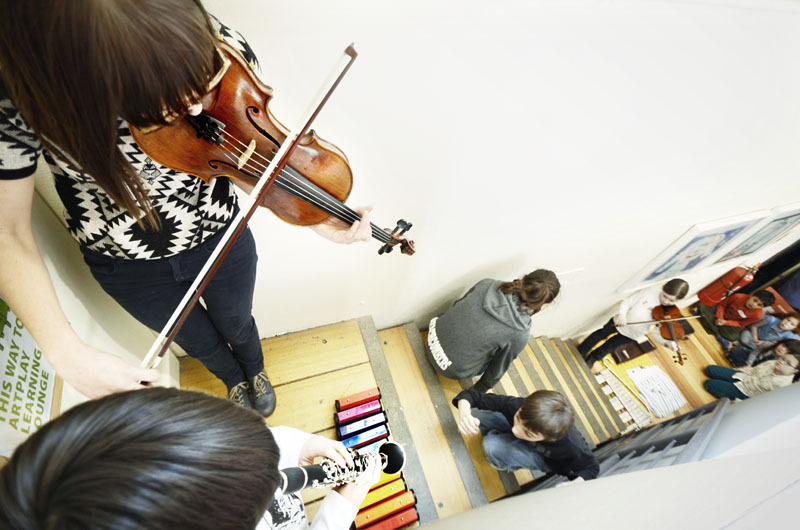 The performances are free and open to everyone, but places in the composition workshop are filling up fast, so please book your child in, and/or share this post with any one you think the project would interest!